We had only been dating for 9 months in this picture. I had finally returned from my summer in the Pocono's working as a counselor at a all summer boarding camp. He was weirded out by my unnatural dark skin complexion. Scratch that, maybe not. But he did certainly look smitten in this picture! 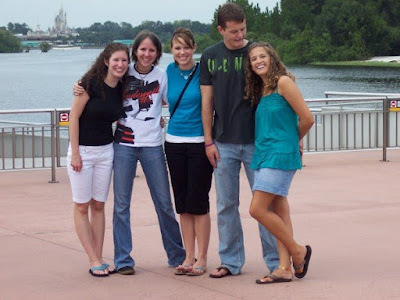 And this picture made me feel so loved, like I was the only one in the room, errrr, amusement park- this is at Disney. To this day, when I look at this picture, I gush. And I am filled with pride knowing that Ian chose ME to be his wife.